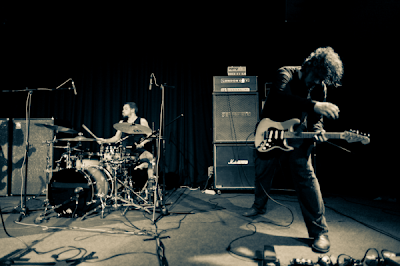 Seven That Spells are a foundation three-piece of experimental/psych-rock from Croatia. 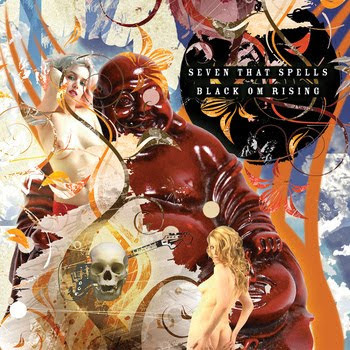 'Black Om Rising' is their 2008 full-length -- a frenzied and cryptic collision akin to The Psychic Paramount and The Mars Volta; lots of extended grooves, beasty bass, tasteful sax, adjective noun+verb...an energetic and often bombastic rock-warp lined in dark trimming. They have a pretty robust discography under the radar, (hopefully) calling attention with affiliation/shows with Kawabata Makoto of Acid Mothers Temple. Their new full-length, 'Death And Resurrection Of Krautrock' is scheduled to come out this month (of the three? releases from them so far this year), releasing the song/video for "AUM" as a little early somN-smthN. Totaly amazing, can't believe they play all that songs twice exactly in the same version! do you have a way of finding the new Seven That Spells- Death And Resurrection Of Krautrock album?